Lace up your tennis shoes for a 3-4-mile jog through Darlin Creek Preserve. 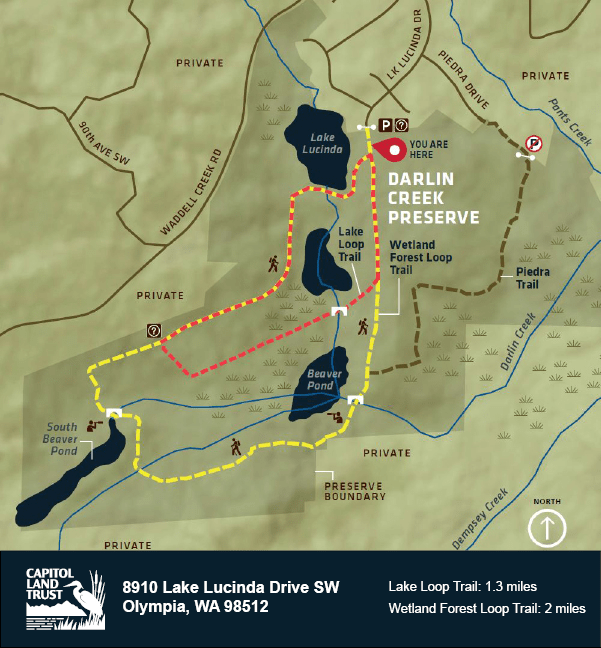 Darlin Creek Preserve was protected by Capitol Land Trust in 2016 and has since been opened for public use! The beautiful preserve features 312 acres of beaver wetland ponds, forest, and more than 2 miles of fish-bearing streams. Bring weather-appropriate running clothes, water, and a snack for afterwards. Registration for this event has been closed. There is still space available for our June 9th trail run at Oakland Bay Historical Park.